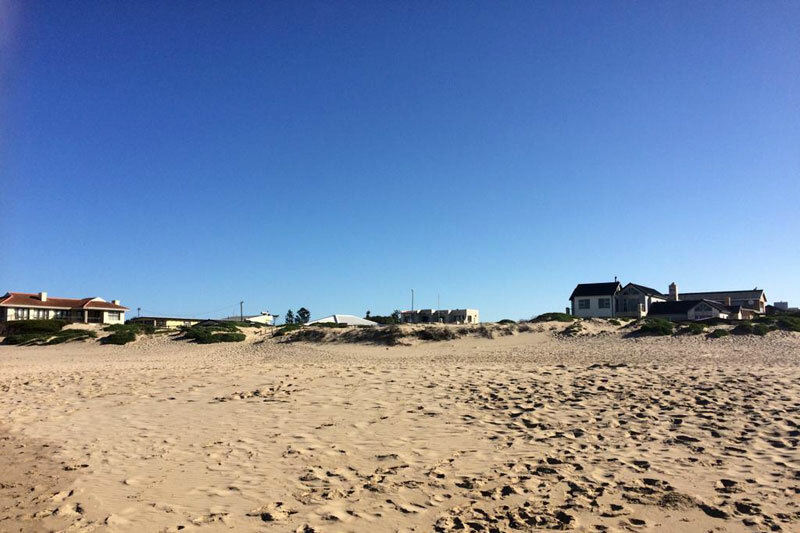 This little town is about 40 kilometres from Mossel Bay (towards Cape Town) on the Garden Route. After leaving the N2, there are tar roads flanked by sprawling farmlands all the way to the town. The grass is luminous green in places and, on our visit in March, littered with brand-new lambs and their woolly mums. The town is little more than a collection of old homes (some of them made with massive stones and thatch roofs), a few churches, and a gorgeous coastline. 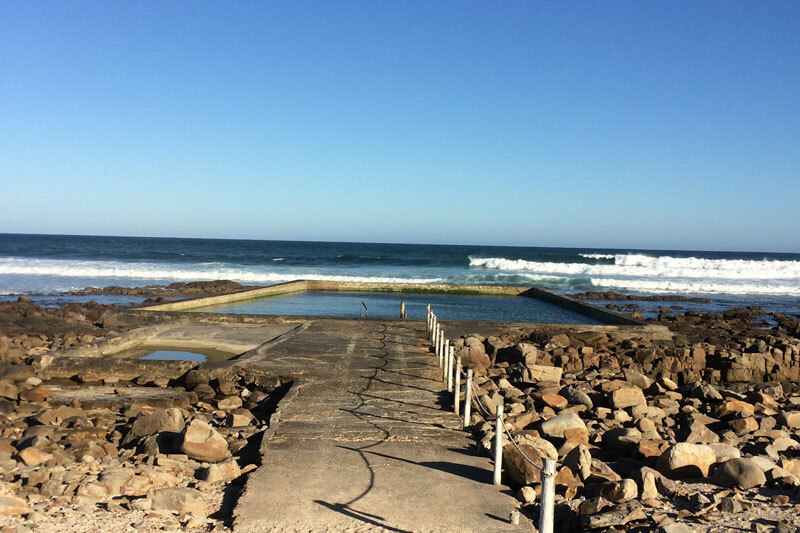 The shores are a wonderland of rock pools and rugged beaches, tipped with grassy picnic and braai areas in places. Fishermen dot the coast and cast their lines in the hope of an impressive catch. The “mond” of Gouritsmond refers to the river mouth, and being right on the river makes this is a wonderfully varied destination to fish. Families stand on the river banks next to the road, keen fishermen perch themselves on the rocks on the beach, and adventurers head out into the waters for some deep-sea fishing. Some of the fish that are caught here include kob, white steenbras, elf, black mussel cracker, red Roman, hake, yellowtail, tuna, and skipjack tuna. The best time to fish here is between October and April. This beach is just spectacular, earning its Blue Flag status. 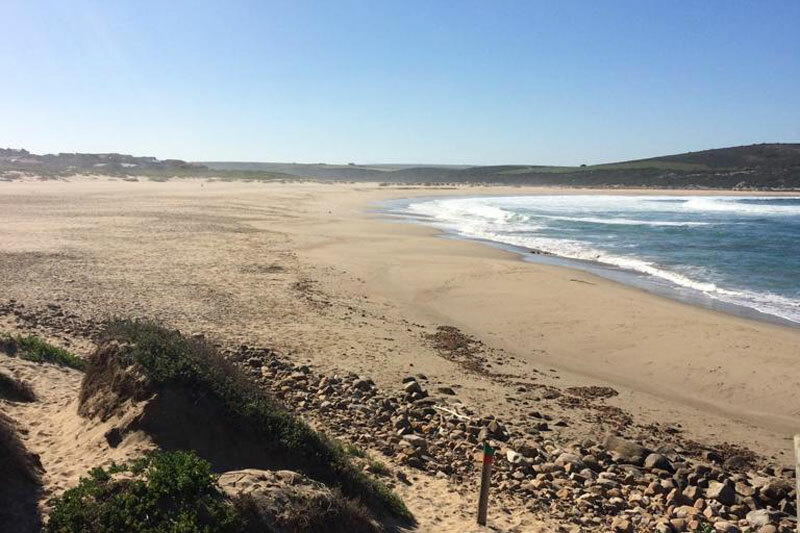 There are some serious criteria to qualify as a Blue Flag Beach that include its water quality, safety, services, environmental management, and its contributions to education. Gouritsmond Beach curves beautifully, which makes it seem smaller than it is. Long walks on the powdery sands are only rivalled by exploring the rock pools, going fishing from the shores, or taking a dip. The waves crash right on the shore and the tides can be strong; so it may be best for little ones or those not confident in the ocean to stick to the rock pools (or the sizeable tidal pool that is a little further up the coast). When we went to Gouritsmond Beach, the swell was huge and consistent. 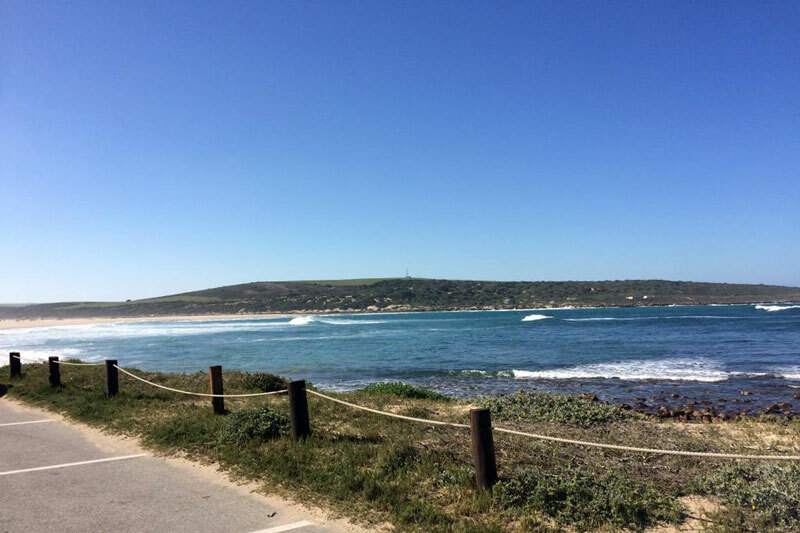 This was perfect for surfing, stand-up paddling, kayaking and hydrofoiling; while a few brave tourists had a swim, despite the chilly breeze. In terms of accommodation, Gouritsmond has a few campsites, as well as self-catering units, bungalows and farmhouses. Many of these are on the doorstep of the beaches and rocky shores, while others are in the farmlands, surrounded by rolling hills. No matter where they are, each of them celebrates space and tranquillity in its own special way. From the N2, heading towards Cape Town, turn left (opposite PetroSA) at the sign that indicates “Boggomsbaai”. Continue on the road for 19.1 km, and then turn left again (the road is unnamed) and drive for 4.3 km. Turn left onto the R325 to Gouritsmond. After just less than 7 km, you’ll arrive at the quiet little town. 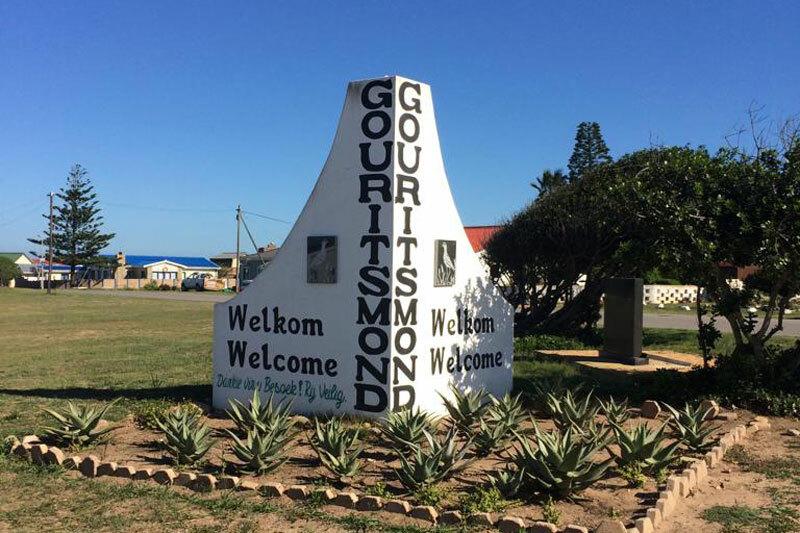 Although Gouritsmond offers very little to distract you from quality time with your family or friends, there are loads of fun and exciting things to see and do nearby. 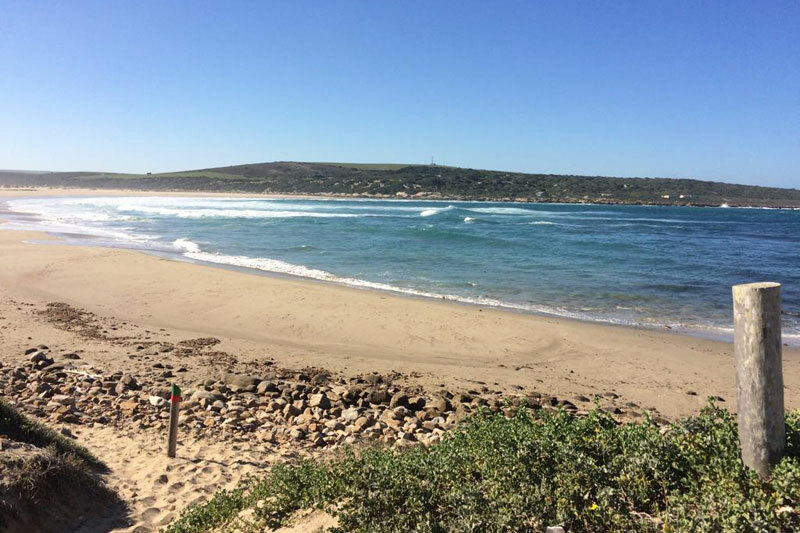 Mossel Bay is only about 45 minutes away, George is just over an hour away, and Knysna and Plettenberg Bay are an additional 45 to 60 minutes away.